Hong Kong license plates are numbered chronologically, starting with HK1 to HK9999, then XX1 to XX9999. From there it went on more logically with AA1–A9999, AB1–9999 and so on. Not all two-letter prefixes were allocated. BA and BF were not given out for a long time because they could be mistaken with British Army or British Forces. Currently the issued prefix is RJ. Many prefixes have special meanings. A stands for the ambulances of the Fire Department and F for the fire engines. Interesting is the prefix ZG, which stands for ZhùGǎng 駐港, stationed in Hong Kong. It is used by the Red Guards stationed in Hong Kong. On roads where vehicles are usually prohibited, such as on many islands, small vehicles bear license plates starting with VV, Village Vehicle. Many numbers that are special because they are round, lucky or repetitive, such as 2000, 8888 or 2112 are reserved and auctioned every second Saturday. The proceeds are given towards charities just as income from lottery. Licence plates can be transferred from vehicle to vehicle, given that the owner is the same person. Since 2006 it is also possible to get personalized license plates. It costs about 5000 HK$ per plate, though if the reserved word-letter combination is expected to be popular, the phrase is auctioned off. The term “I Love You” sold for 1.4 million HK$ in 2006. 15,958 personalized license plates have been sold since the scheme was implemented, raising the Hong Kong Jockey Club 242.9 million HK$. For example the plate “HAHAHAHA” sold for $65,000 while “HEHEHAHA” cost $95,000. To get one yourself, visit the site of the Transportation Department. Not all cars need license plates in Hong Kong. 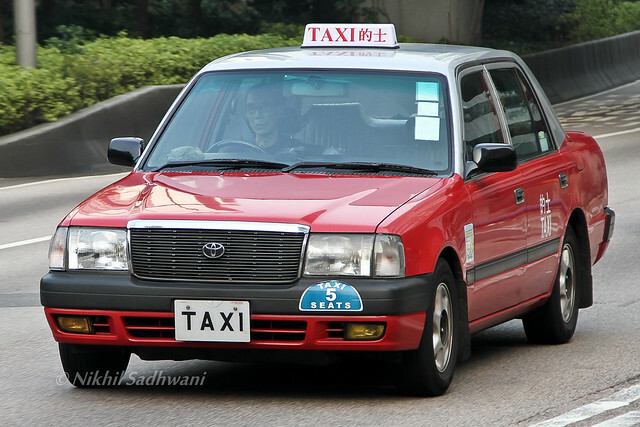 The vehicles of the Chief Executive bear the HKSAR emblem, the red Bauhinia. Enjoy the Gallery below with examples of unique license plates. Tom Grundy also observes license plates on his blog Hongwrong through the category WTF Licence Plates of the Rich and Shameless. My all time favorite is his #2, “OK LA”. This entry was posted in Society by Leonhard Weese. Bookmark the permalink.